So I’ve been building these Fan Sites on a site called Fantourage. It’s a site that shows much promise – it’s fun because it combines my geeky-tech skills with my passion for certain celebs/bands/chefs/tv shows and a competition (to win points). You’ll see – it’ll all become clear in the next paragraphs. If you are reading this now then I’ve caught your interest. I do hope you can click on the site links for the things YOU are a fan of. Earn some points, get rewarded. That’s the idea – think of it as a contest to see who a certain someone’s number one fan is. And as for you blog readers, think of this post as a way to get to know me better. In other words: you will know me by the fan sites I create. Or at least you’ll get an idea of what I’m listening to, reading and watching at the moment. Here’s a list of things I LIKE. Margot and the Nuclear So and Sos– because I love them and my husband and I saw them live 2x!!! ONE OF MY FAVE AUTHORS OF ALL TIME IS NEIL GAIMAN – Sandman, American Gods, Coraline, The Graveyard Book ’nuff said. GLEE – can’t wait for the new season! And now for the BEST TWO AMERICAN IDOL GUEST JUDGES – they should make a movie together – a musical of course – it would be BRILLIANT! Not a big Rachel Ray fan or Paula Deen but I do like chefs with accents. Two of my fave cooking shows Take Home Chef and Naked Chef may be off the air but Curtis and Jamie are still darling… they can cook for me anytime! Oh wait, I’m supposed to LEARN to COOK from them… yeah, ok.
And these are my current fave comedians at the moment. And finally -Anyone who knows me knows (or should know) I LOVE indie films/music! Here are my current fave indie personalities. MICHAEL CERA – thought of putting him in my comedian category but figured he had indie cred cos of Juno. He is definitely a funny guy though especially if you see his interviews. JOE GORDON-LEVITT rocks! – And it’s not just because of 500 Days of Summer either but because of all he does with HitRecord.org etc. 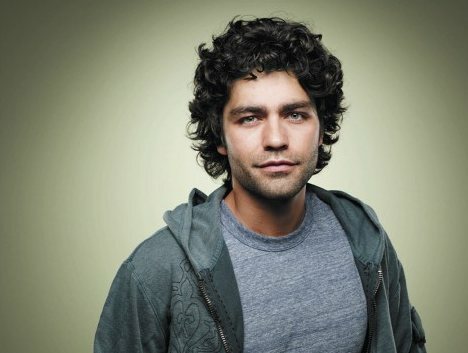 ADRIAN GRENIER – Yes, you know Adrian from Entourage of course but his indie cred is high – go ask people at Sundance. Cant wait to watch his documentary “Teenage Paparazzo” – heard it was good. And finally, I built a site for TV SHOWS THAT GOT CANCELED TOO SOON including my late, lamented fave PUSHING DAISIES. I look forward to hearing what shows you miss on TV too – heard that Jericho and Arrested Development fans?